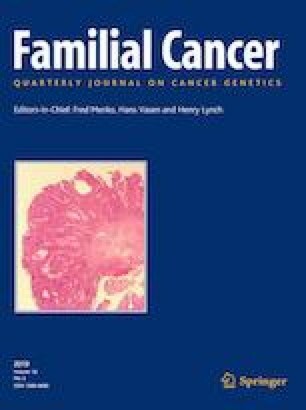 While familial adenomatous polyposis accounts for approximately 1% of all colorectal cancer, the genetic cause underlying the development of multiple colonic adenomas remains unsolved in many patients. Adenomatous polyposis syndromes can be divided into: familial adenomatous polyposis, MUTYH-associated polyposis, polymerase proofreading associated polyposis and the recently described NTHL1-associated polyposis (NAP). NAP is characterised by recessive inheritance, attenuated adenomatous polyposis, colonic cancer(s) and possible extracolonic malignancies. To date, 11 cases have been reported as having germline homozygous or compound heterozygous mutations in the base excision repair gene NTHL1. Here we present a further case of a 65-year-old male with a history of adenomatous polyposis and bladder cancer, who has a previously described homozygous nonsense variant in the NTHL1 gene. This case is consistent with the emerging phenotype previously described of multiple colorectal adenomas and at least one primary tumour, adding to the small but growing body of literature about NAP. We thank the patient for allowing us to report this case.